Dave raised the bar here. 7 inch blade of ATS 34 steel. Razor sharp. 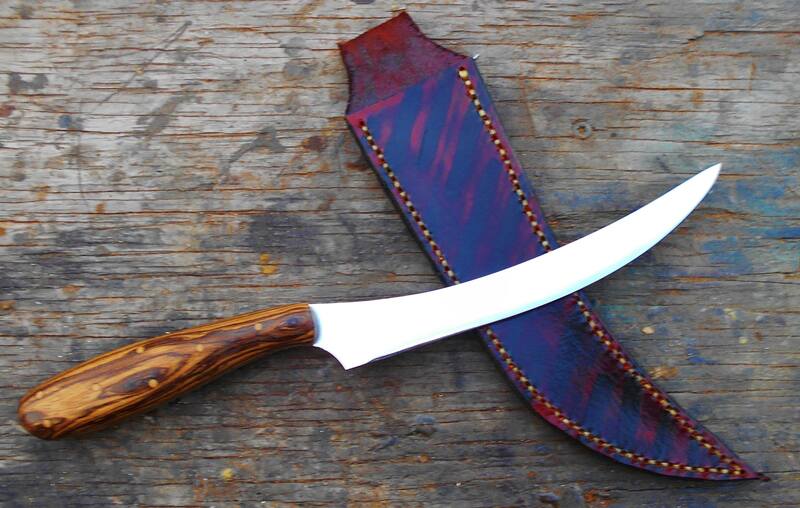 Bocote wood handle. I love it. Hoping it won't rain this weekend, so I can go fishing and try it out. That is sweet! Just when I had my knife cravings under control you go and post this...the one knife I don't have a custom in...thanks a lot Mannlicher...I'll get over it if you post some action pics of it soon! Glad you like it Sam. Here are a few pics I took of it. 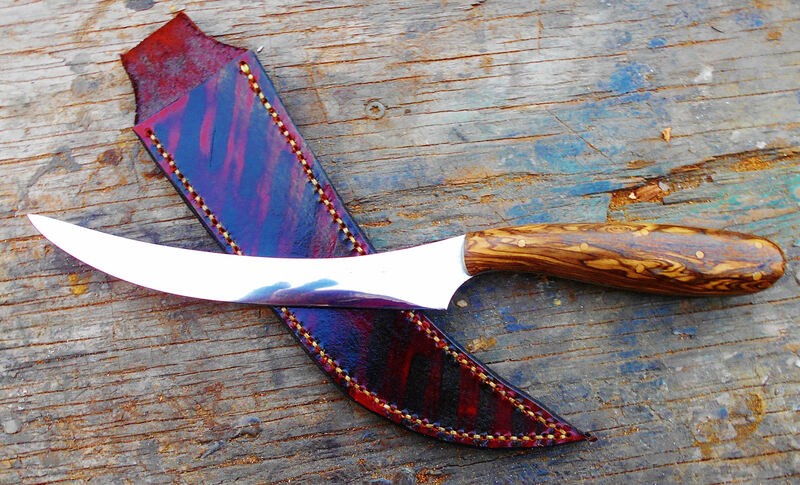 That bocote handle is gorgeous.....really sets off the nicely ground blade-design! That's a beauty for sure. Congratulations and great job Dave. Congrats Sam, she's a looker. Fine job as always dave. Love it! Nice work, Crash. Congrats, Sam. I cheat. After hand sanding, I use a 2HP buffer turning at 3450 RPM. The trick is to not burn the blade. Lucky me. Two more of those Crashblades filet specials coming Friday. Dave's signature blue jean micarta handles. I can't wait. My son gave one of these to his brother in law, and kept the other. The other day, between the two lads, they cleaned 100 pounds of Sea Trout and Kingfish. The knives were said to have performed perfectly, and were still sharp.